The Tosetti Value Division per l’Arte (for Art) is the observatory used by the Family office to provide the cultural foundations that are essential for knowledgeable collectors. Through an integrated network comprising various competencies it serves as a filter to offer clients families support for the creation, enhancement, and maintenance of art collections throughout successive generations. 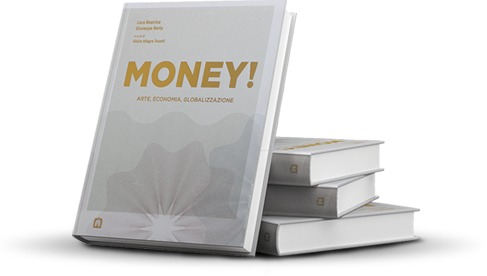 Per l’Arte provides its activities not just as a window on the art world but more as a filter through which to offer and enhance a lateral view of economic and geopolitical themes that are analysed on a daily basis by Tosetti Value. It’s a contemporary photographic project curated by Tosetti Value per l’Arte with the aim of connecting art and economy and expanding perspectives on reality. Family Data is the service Tosetti Value offers to assist its clients in the archiving, evaluation and conservation of art and other collections, providing a turnkey service designed to give family leaders an overall, integrated view of their assets. An intrinsic part of Tosetti Value’s philosophy which aspires to give its clients the peace of mind to conduct their professional and personal lives while having full control over their assets without the burden of their management. The per l’Arte Division applies and integrates the specific and interdisciplinary training model of the Family office, creating focussed, personalised, in-depth courses on contemporary photography and art in collaboration with authoritative experts selected for their relevance to the individual needs of our clients.